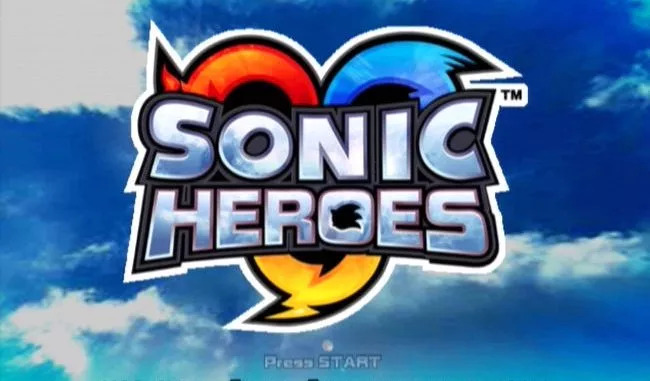 Sonic Heroes is a platform video game developed by Sonic Team USA and published by Sega. 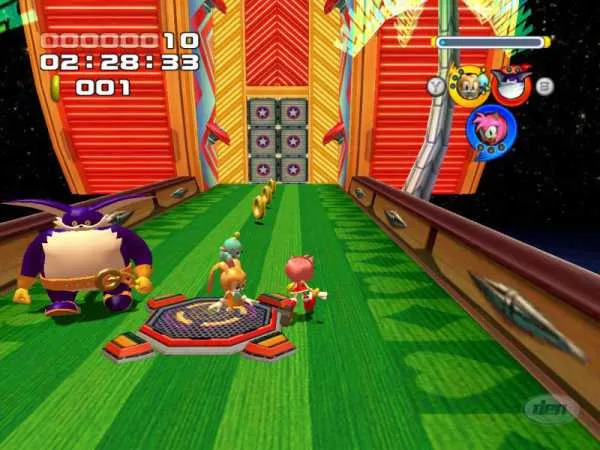 Sonic Heroes becomes available for the GameCube, PlayStation 2, Xbox and Microsoft Windows and was first released in Japan on December 30, 2003 and later released on January 5, 2004 in North America and on February 6, 2004 in Europe. In Sonic Heroes Sega’s legendary mascot Sonic the Hedgehog makes his historic multi-platform debut. He embarks on his biggest adventure ever at his trademark blazing speed and enjoys a new gameplay twist. 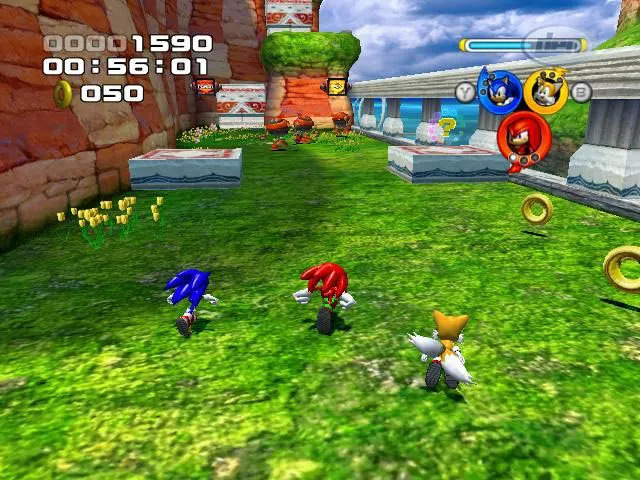 Sonic and his friends have evolved, adopting a configuration feature that lets gamers control three playable characters simultaneously: Sonic’s speed, Knuckles’ power and Tails’ ability to fly are used to conquer massive worlds. This team-based game play marks the next evolution in Sonic’s gaming career, taking platform gaming to a completely new level. 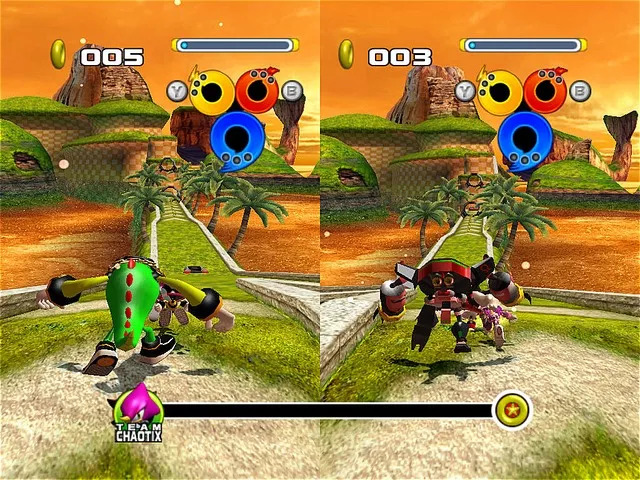 Using the three formations and the powerful moves that each team member has, Sonic and his friends combine forces to battle the ultimate evil: play as one of four teams for a total of 12 playable characters–Team Sonic, Team Dark, Team Rose or Team Chaotix, each with their signature moves and story line. Each team boasts multiple specialised stages with unique missions and CG movies driving each team story forward. You can experiment with team formations to learn the best way to defeat enemies, solve puzzles and navigate massive environments. Each stage contains multiple paths and missions for maximum replayability.